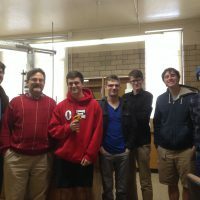 Dr. Wolinski of the Grove City College Physics Department leads a study on the development and uses of gallium oxide nanowires. 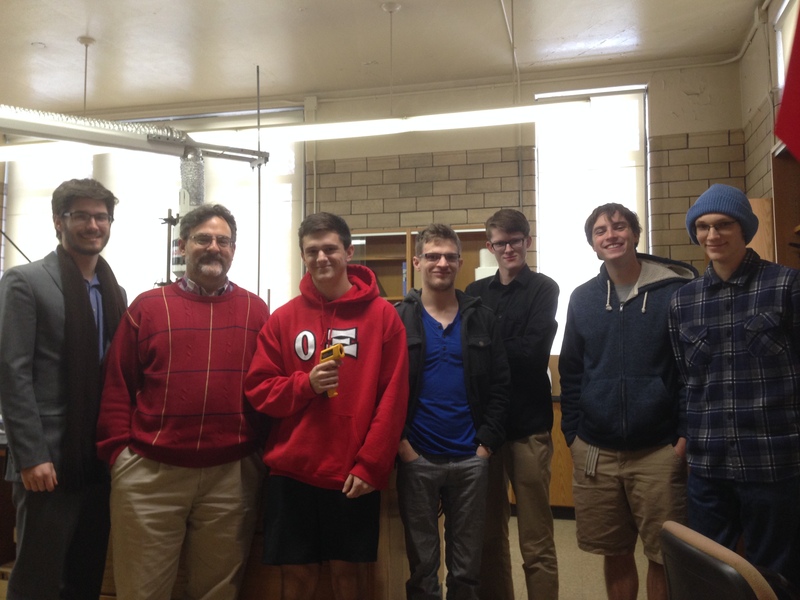 Six young men of the department work week after week tuning machines and making discoveries on the possibility of building bridges micrometers wide. Part One of the series kicks off with an exhaustive look at the work of Seth Byard and Tim Magargee, the first steps of creating nanostructures for the study. Seth begins the whole process by synthesizing the samples his group will work with to create all their structures on. Without these basic building blocks there’s no point to the project. It all begins with a disk of silicon. Seth coats the silicon wafer with gold in a Sputter Coater- the first block on a long journey ahead. The atoms thick layer of gold is a substance gallium oxide can cling to, giving a wires proper surface for development. From there he purifies the surface of the wafer with a Plasma Cleaner, then applies a liquid called PMMA. The liquid ensures contact with electrons, giving the team an easy way to see their micro samples using an SEM (Scanning Electron Microscope). When Seth is done, the foundation for the whole project has been laid. Meanwhile, Tim’s job for the project is to test a machine called the Ellipsometer. It is a device that uses a laser to measure the thickness of surfaces, down to only nanometers thick. Tim has spent his semester testing and calibrating the machine with a more translucent material. He still sputters gold, but clear material allows the Ellipsometer to get an exact read of the gold’s thickness. In the end, Tim ends up with a reliable test of the machine’s efficiency. He can now check his knowledge of a sputter’s thickness against the machine’s readout. When he gets enough tests done he will know just how accurate the readouts are and how much to calibrate the Ellipsometer.